Very Good. In Pursuit of Justice by Radclyffe. Trade paperback (US). Glued binding. 220 p.
Very Good. In Pursuit of Justice by Radclyffe, 2003-02-01. Trade paperback (US). Glued binding. 236 p.
Good. 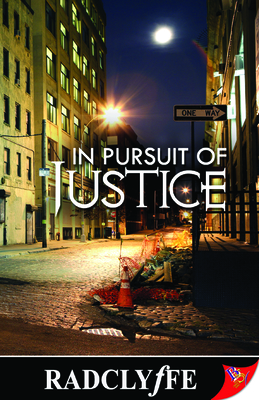 In Pursuit of Justice by Radclyffe, 2003-02-01. Trade paperback (US). Glued binding. 236 p.
New. Trade paperback (US). Glued binding. 258 p.
New in New jacket. In Pursuit of Justice. I thoroughly enjoyed all of the books in this justice series by Radclyffe. She is a phenominal writer. I can't wait for the next book in the series.